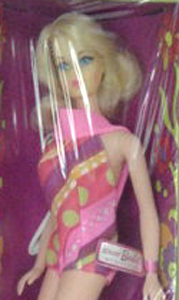 TNT Barbie got a new look in 1969. 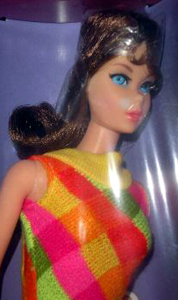 Twist 'n Turn Barbie got a new hairstyle - a shoulder length flip, arguably inspired by the hit TV show That Girl which ran from 1966 to 1971 and starred Marlo Thomas with a similar hairstyle. 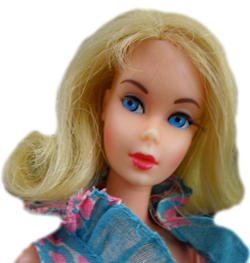 This Barbie is often referred to as TNT Flip or TNT Marlo or even TNT Marlo Flip. 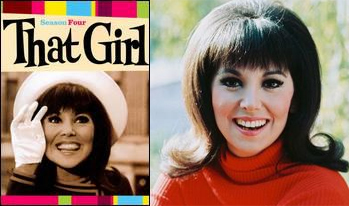 She was made from 1969 to 1971 and she received a new swimsuit each year. 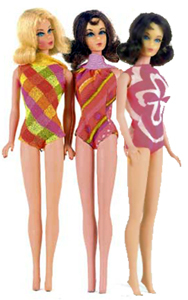 Leave TNT Barbie, Return to Mod Barbie Dolls.